One thing we pride ourselves on here at Norfolk Oak is that our products are made to last. As well as a timeless beauty, our products are made from the highest quality materials to ensure that they will forever look beautiful in your home. We only use the highest quality American White Oak or American Black Walnut for our worktops, as these timbers have the most beautiful colouring and strong grain pattern. Not only this, but they are also incredibly strong and robust, meaning they will last for an incredibly long time in your home. 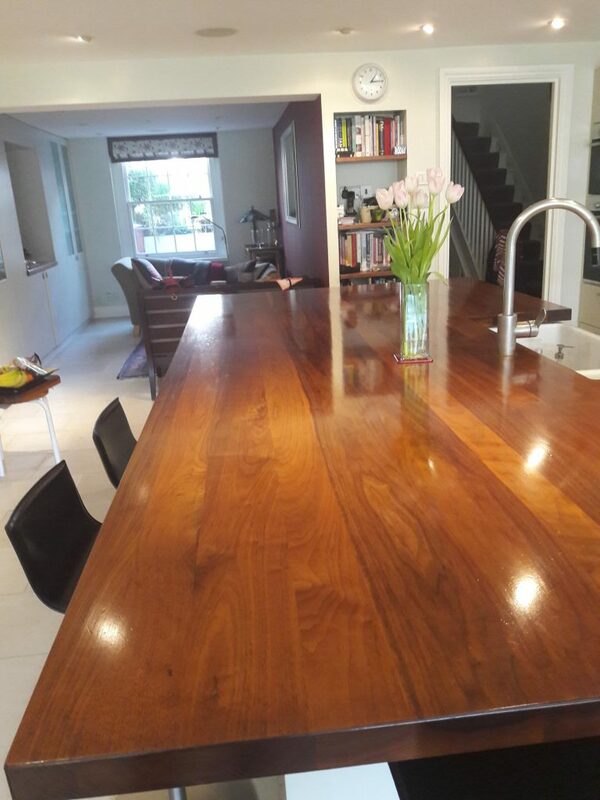 We were sent these images by one of our previous customers, who purchased beautiful walnut super stave worktops for their kitchen over 10 years ago. They got in contact to tell us how happy they still are with their worktops! 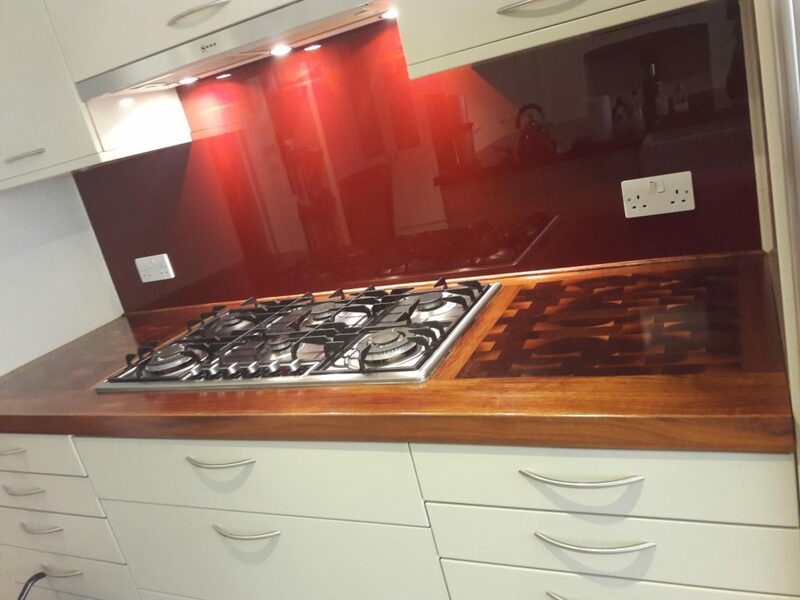 They have used their kitchen everyday for their busy family life, and regularly maintain and treat the worktops, meaning they look just as good as when they first installed them. Regular maintenance and just generally looking after your worktop is required to keep it looking as good as when it was first installed. We recommend lightly sanding and applying a light coat of oil every six months. This will help to keep the timber healthy and ensure that it always looks its best and is protected in this high traffic environment. This particular worktop has a beautiful end grain insert around the hob, which is such a beautiful detail for this area of the kitchen. Our worktops and furniture are all made to measure and constructed from the highest quality timber possible. A walnut super stave worktop from Norfolk Oak is unique. You will immediately notice that our full stave worktops are completely different to any other retailer. Constructed with large, wide, full staves which run the entire length of the worktop, they are quite stunning. Check out our social media and website for more beautiful images of what we can create for you!